Great spot to camp. We were 100 yards from the Gulf, with the windows open, we could hear the surf rolling all night. Now I understand why people want to live on the water. We had the beach to ourselves…one guy fishing, one guy rolled past us on his bicycle, and that was it for two days. Campsites were pretty close together, but hey….we considered spending another day, just so we could take an extended beach bike ride. Jezzy enjoyed the beach, too….we were able to let her off the leash, which is a rare treat. Uneventful drive to San Antonio. Our lunch stop along I-10 was spectacular. “Cleanest bathroom I’ve ever been in”, according to John. High praise. We were uncertain where to stay in San Antonio – no “campgrounds” or state parks near the city at all, and we didn’t want to get too far off our general path toward Big Bend National Park. So, we opted to stay (for the first time) at an RV Park. We’re close to 200 other trailers – mostly other big rigs, some snowbirds, and some seasonal campers. Location, location, location – we’ve all heard that, and we’ve got it in spades here at Traveler’s World in San Antonio. We’re right on a bike path that will take us downtown – just four miles from the Alamo. Better showers than home (or even at Don’s, and it doesn’t get much better than that!). Internet connection (something we’ve been sorely lacking in the past week) So, we’re heading off tomorrow on our bikes to spend the day sightseeing. Here are some sights from Galveston. 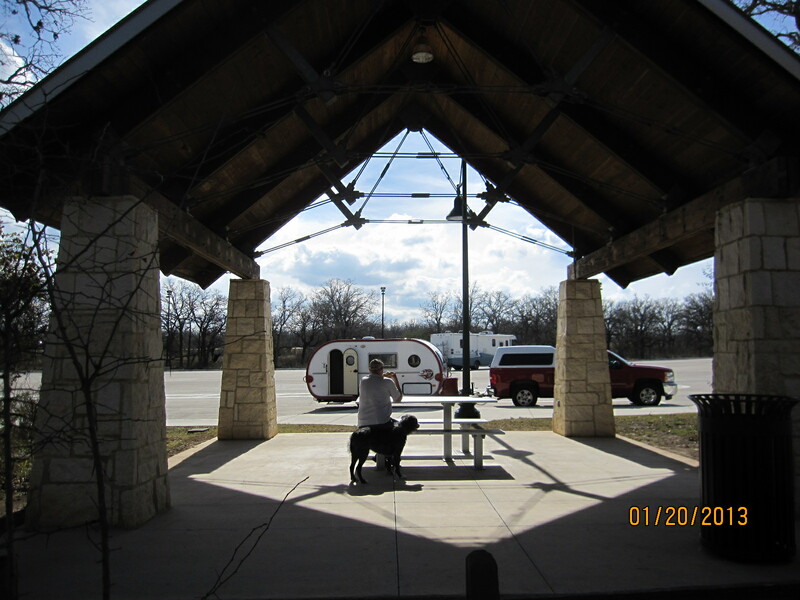 This entry was posted in cycling, RV life, simple camping, Uncategorized and tagged camping, cycling, simple camping by Judy Crankshaw. Bookmark the permalink.